Peel the eggs carefully so they keep their beautiful shape. Slice them in half and gently remove the yolks. For a clean cut, make sure to wipe your knife down after every cut! Push the yolks through a mesh sieve into a medium sized bowl. 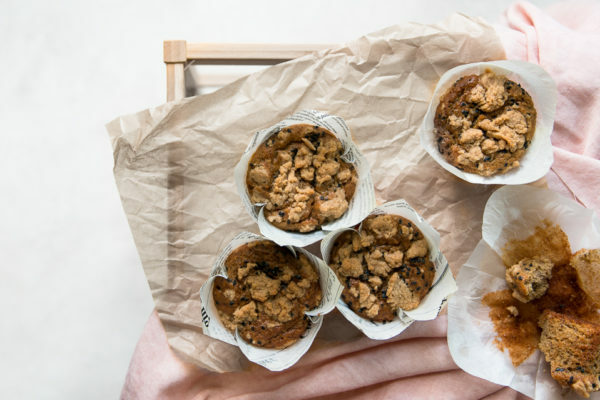 This will ensure you get a good consistency for the filling. Add the Kewpie Mayo, white miso, gochujang, salt, and pepper to the yolks. 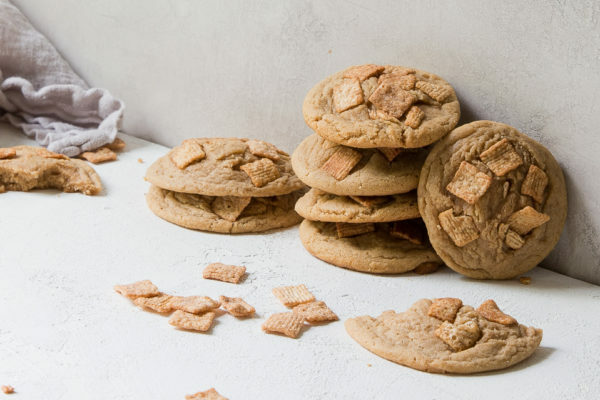 Mix with a rubber spatula until just combined. Fill a piping bag with star tip with the yolk mixture. Pipe the filling into the egg whites how ever your heart desires. 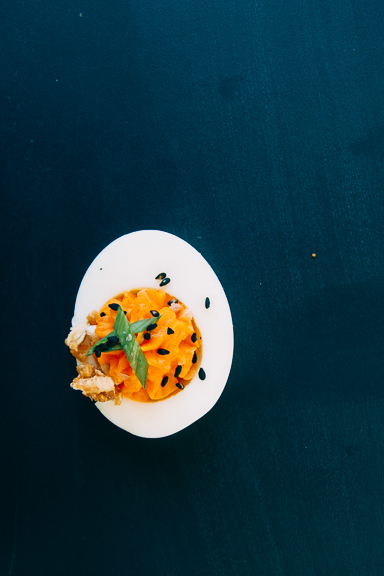 Plating & Garnishing: Place some kimchi onto the plate you will be serving the eggs on. I made a little pile in the middle. 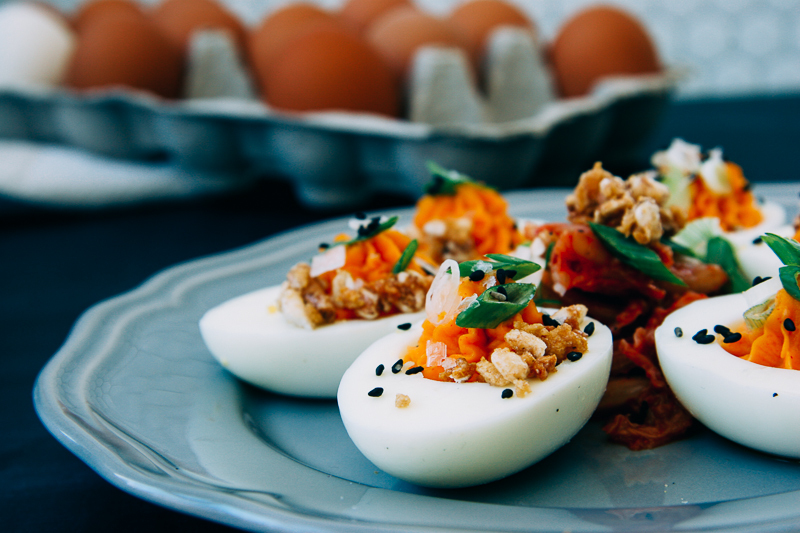 You can also make little heaps of kimchi to place your eggs on top of as well. Arrange the filled eggs on the plate. 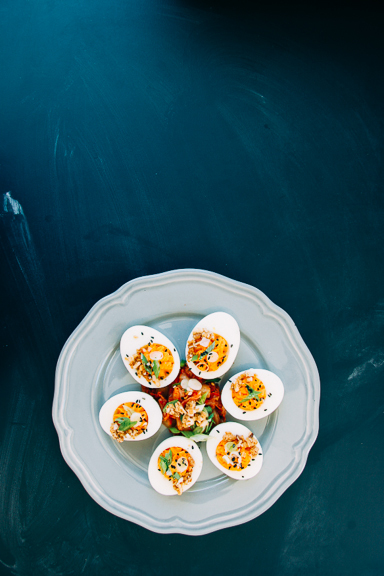 Garnish each egg with a bit of the crunch cluster cereal, scallions, Maldon Salt, and black sesame seeds. 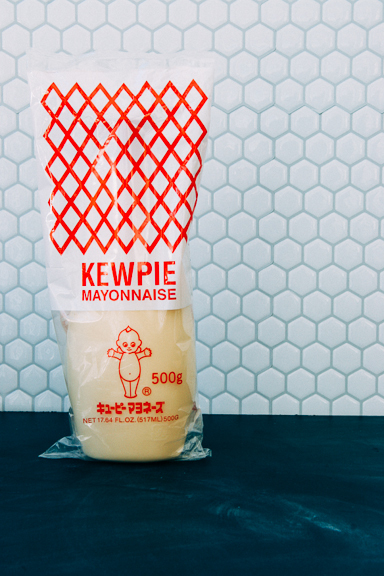 Kewpie Mayo is an incredibly thick, creamy Japanese mayonnaise. The bottle has a weird baby on it. Thats my favorite part. You can obviously use regular mayo but this stuff is legit. 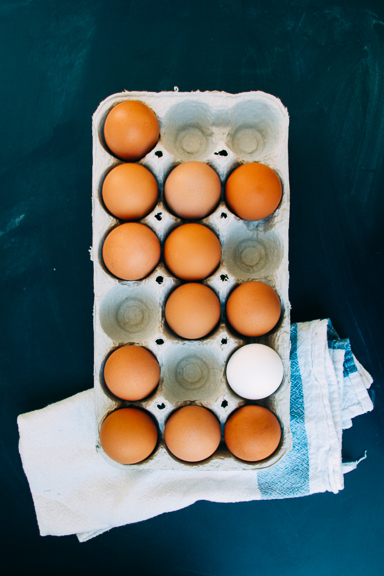 You can boil the eggs and make the filling ahead of time. 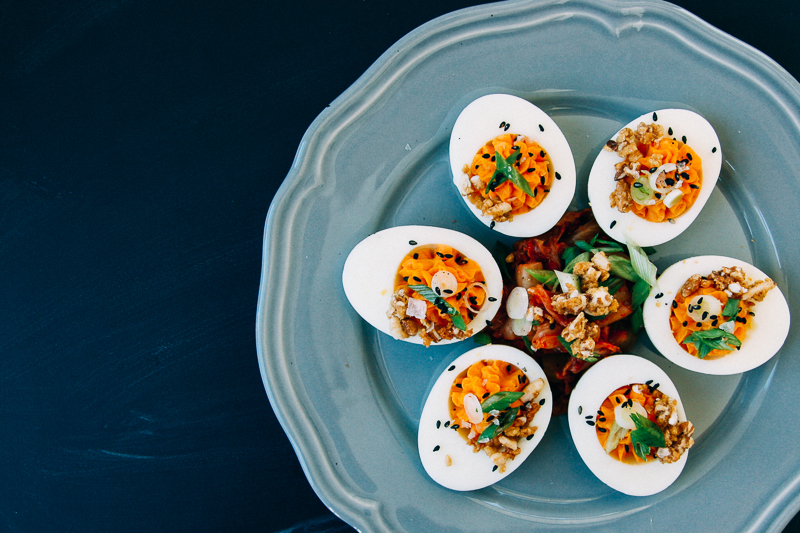 I recommend filling the eggs and garnishing them just before you serve. 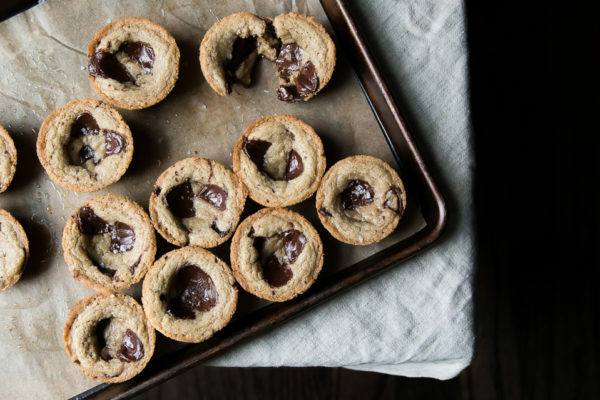 Fill the piping bag and keep it in the fridge so it’s ready to go. 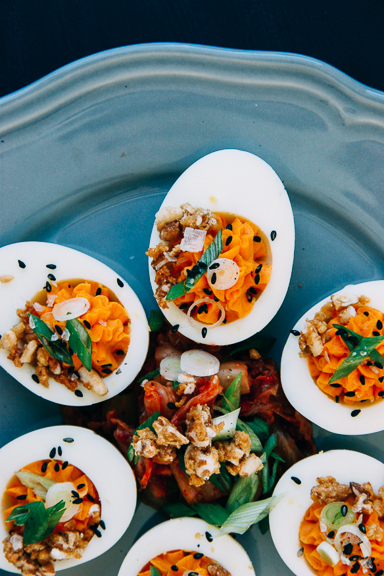 You can also plate the kimchi and egg whites ahead of time if you are pressed for time before serving. 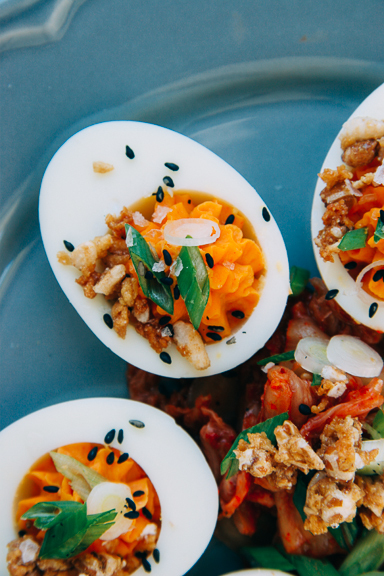 Put a little kimchi on your egg before biting into it. It adds great acidity and balances out the deep creamy flavor of the filling. Danielle I am SO GLAD you are posting on your blog again! 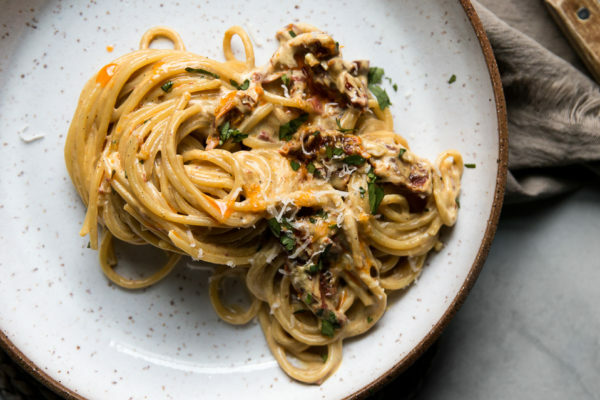 Your photos and recipes are so beautiful and delicious-sounding! 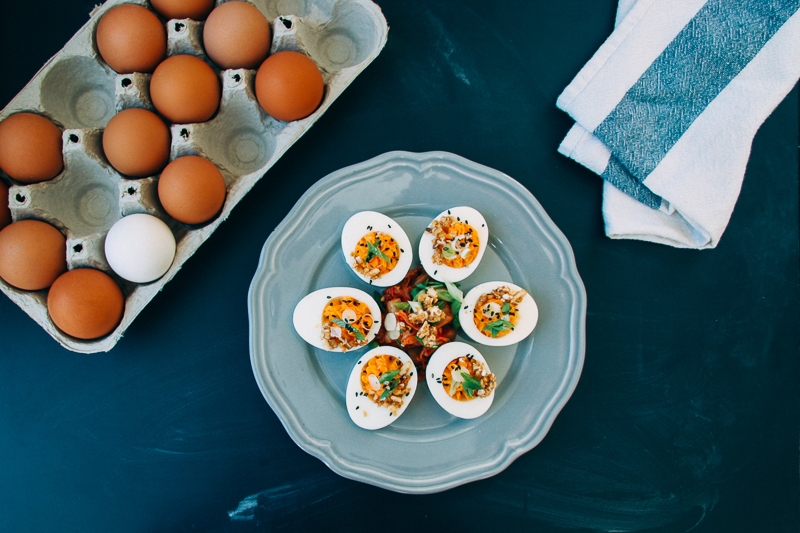 These deviled eggs seem like a great any’tizer! Well, I’m glad my freezer isn’t full of them. I just wanted to say how much I love all your recipes, they are easy, ingredients are simple and easy to find! 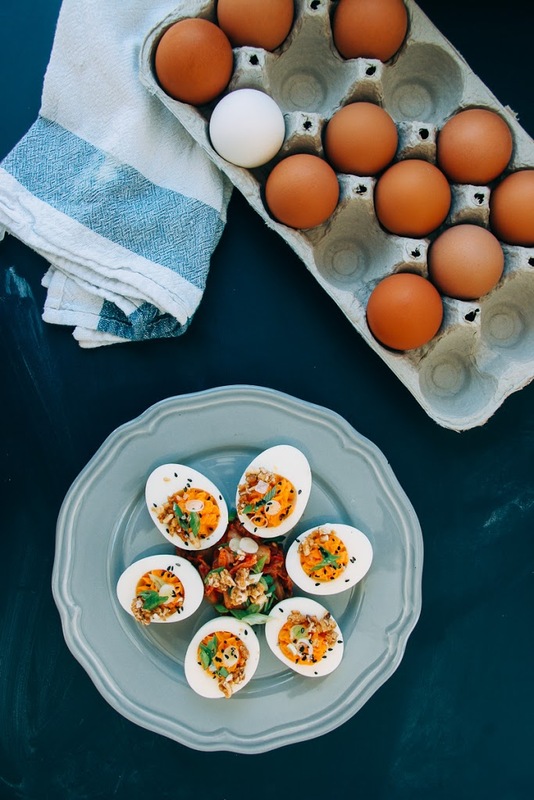 I’m never a fan of deviled eggs but I am so going to make this version because I LOVE kimchi, miso, and Kewpie! BTW, I’m going to make the soba noodle salad for lunch today, can’t wait! Thank you!!! I hope you enjoy it!